As a wedding photographer I love taking a candid bridal portrait to tell the story of your wedding. 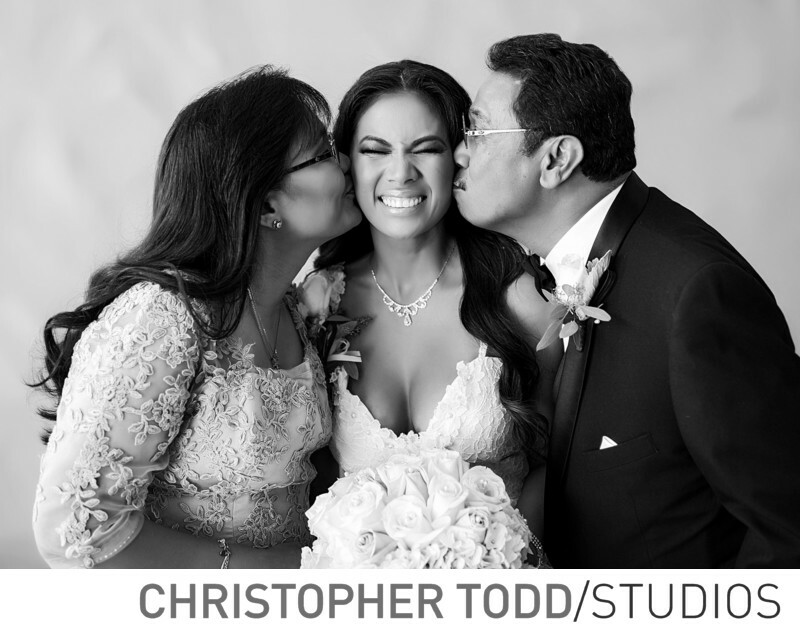 In this photo the bride is being showered with love from her mother and father. It is a classic black and white photo taken at the Hyatt Regency in Huntington Beach. Couples love weddings at the Hyatt Regency. With it's unique Mediterranean architecture and cool ocean breeze making it a perfect venue. Location: 21500 Pacific Coast Highway Huntington Beach, California, USA, 92648 . 1/200; f/2.0; ISO 160; 50.0 mm.